84min. Directed by Peter Lord, Nick Park. 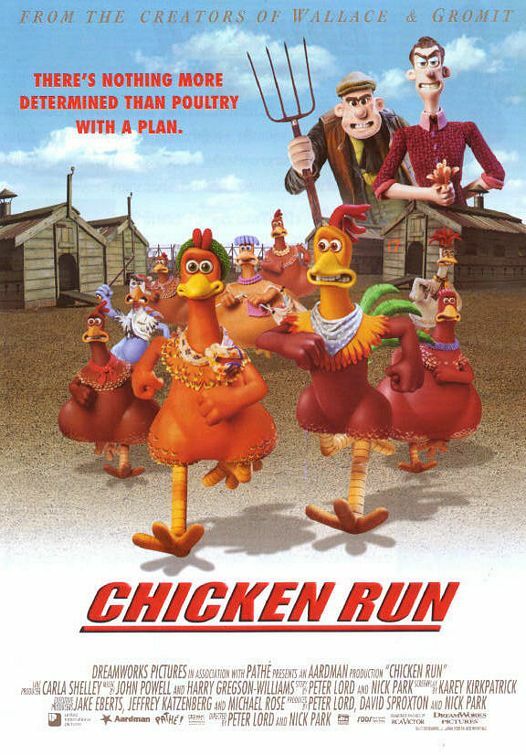 Award-winning DreamWorks animation from the Aardman team, telling the story of a band of chickens doomed to a life of egg-laying on a Yorkshire chicken farm. When a flamboyant American rooster arrives on the scene, the hens hope he can teach them to fly to freedom. However, when a chicken-pie making machine is installed, their need becomes urgent and they must devise other means of escape.